Type the word "city" in the search bar and you will see several dozen huge cities and not very much. About 60% of these creations belong to megacities consisting of hundreds of houses, streets and typical attributes of large cities. Footscray is a provincial small town that includes several streets. It can not be called great but the author of the map is going to build a really impressive city not like the others. In fact, Footscray has a unique architecture peculiar to micro cities. In general, the city can be described as a place for a quiet life without fuss. Install additionally any transport Minecraft PE addon for example this one - Monster Truck. 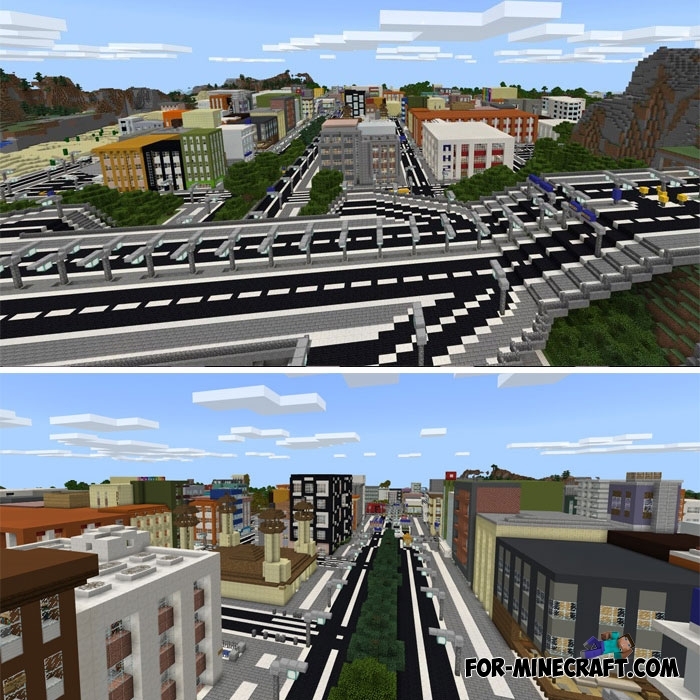 Thanks to the correctly constructed roads connecting all the nodes of the city, you can very quickly get from one part to another. 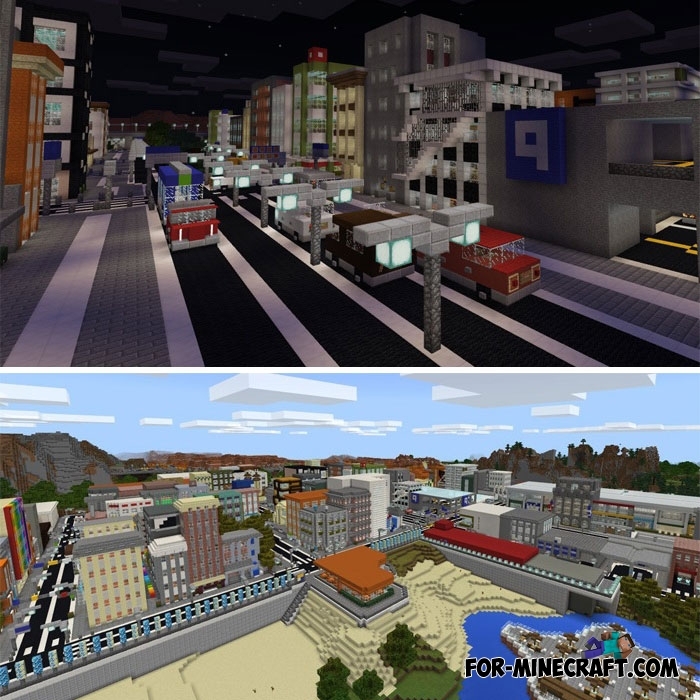 A new district was added, and some buildings were rebuilt. Support for Minecraft PE 1.7. Monster Truck for Minecraft PE 1.1.3Monster Truck is a huge pickup truck with an improved off-road engine. Who would doubt..
Mini Town map (Minecraft PE 1.1+)Before downloading this map, you need to install the Mini City Texture Pack that transforms..
BS this map doesn’t show up on worlds list and from looking at your screenshots I can tell that it city look pretty boring all the buildings look the same I think this town needs a new name, I know fukscrap!!! Those photos only show a small part of the city (and last worked on last year). Why not take some pictures of Meston?